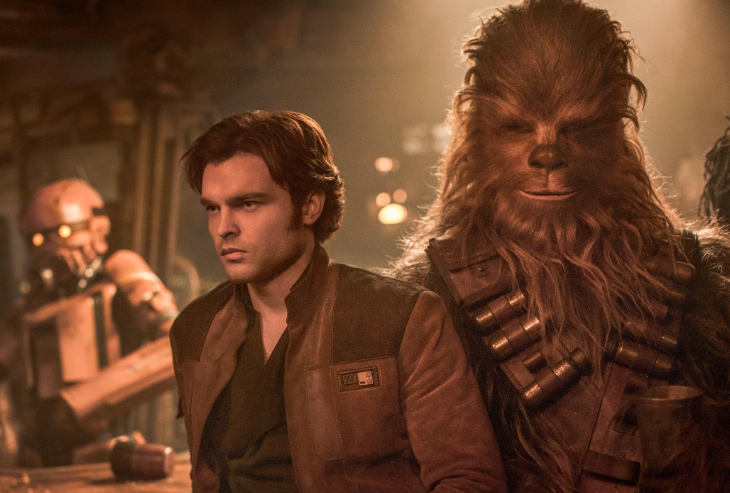 -The first reviews for Solo are out, and though they are mixed (good, not great seems to be the theme), I’m glad that it sounds like Alden Ehrenreich delivers. I felt like he was being set up to be blamed if people didn’t like it with all the rumours about acting coaches, etc. –Meghan Markle‘s dad has reportedly changed his mind and now wants to walk his daughter down the aisle after all, but he may be having heart surgery. The wedding is this weekend! What is happening?!? -Cannes put Diane Kruger on bump watch. -Walkouts at Cannes screenings are not uncommon, but Lars von Trier‘s The House That Jack Built starring Matt Dillon as a serial killer prompted over 100 audience members to flee the theater. The first wave of mass walkouts reportedly happened when Dillon’s character shoots two children in the head with a rifle, and the second wave was near the end when Riley Keough‘s character is being mutilated. –Kristen Stewart doesn’t care about Cannes’ red carpet rules. After posing for a few pictures in her complete outfit at Monday’s premiere of Spike Lee’s BlacKkKlansman, she took off her heels and went barefoot on the red carpet. -U2’s Bono and The Edge become Ellen DeGeneres’ assistants for the day in today’s episode. -This is a great interview with reporter Jim DeRogatis, who broke the R. Kelly story back in 2000, has been covering it ever since and is ready for others to care about it. -This profile on Marti Noxon left me so conflicted. I really enjoyed the book Dietland and am looking forward to the adaptation. Her justification for season 6 of Buffy though and the re-positioning it as a precursor to shows like Jessica Jones and Fleabag…I just can’t. The wound is still too raw. –Greg Berlanti just set a new record with 14 series on air, which is insane. -Also insane: Netflix will premiere an estimated 470 new originals between now and the end of 2018. -This is a great Chris Evans story. –New Girl ends tonight and even though I didn’t always watch in the later seasons, I’m going to miss it. Some of my favourite moments: Nick and Tran in the pool, Gave me cookie, got me cookie, the chicken dance, Jess’s rant on her brand of feminism, Nick’s attempt at burpees, and of course the hottest kiss ever. -The guy who played Schmidt won’t be out of work for long. Max Greenfield is taking over as the lead in one of CBS’s new sitcoms. -Oh yeah, I’m going to watch the crap out of this Netflix movie about Lucy Liu and Taye Diggs getting parent-trapped by their assistants. -Watch Rami Malek channel his inner Freddie Mercury in Bohemian Rhapsody: The Movie‘s first official teaser trailer.